OMEGA Slip Fit Drill Bushings are designed to guide, position, and support the cutting tool while keeping the drill bit perpendicular to the working surface. OMEGA Standard Slip Fit Drill Bushings can be used with OM589EA Drill Stands. OMEGA Drill Stand Often referred to as 'Egg-Cup' Drill Stand, this 1/2-13 Threaded, hand-held drill guide provides a quick and easy way to assure hole position and quality. OMEGA Drill Stand Often referred to as 'Egg-Cup' Drill Stand, this hand-held drill guide is designed to accommodate 1/2'' OD slip-renewable drill bushings, and provides a quick and easy way to assure hole position and quality. 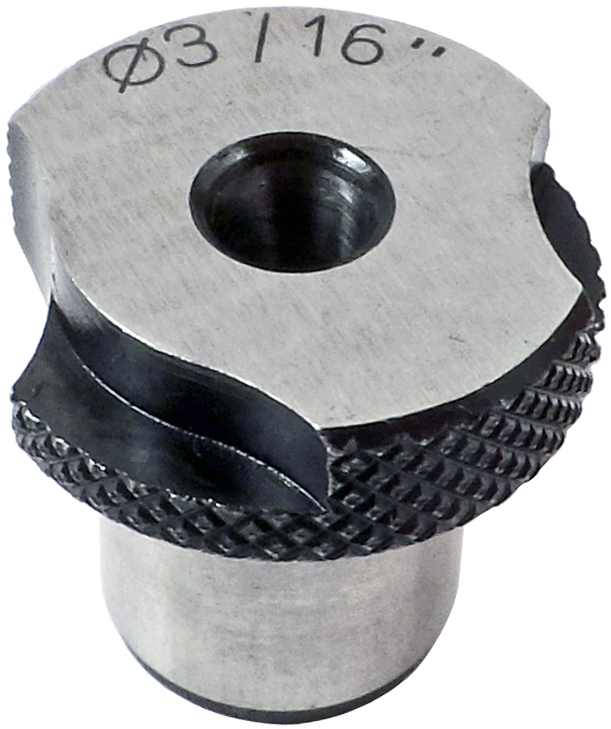 The OMEGA OM589EA-1875 3/16'' Slip Fit Drill Bushing is one of thousands of quality tooling products available from MRO Tools. Please browse Drill Stands, Bushings and Kits for tools similar to the OMEGA OM589EA-1875 3/16'' Slip Fit Drill Bushing. OMEGA OM589EA-1875 3/16'' Slip Fit Drill Bushing description summary: OMEGA 3/16'' OM589EA-1875 slip fit drill bushing. Drill Size: 3/16'' (4.76 mm) Outer Diameter: 1/2'' Overall Length: 1/2'' Quantity discounts may be available for the OMEGA OM589EA-1875 3/16'' Slip Fit Drill Bushing. Please contact MRO Tools for details.